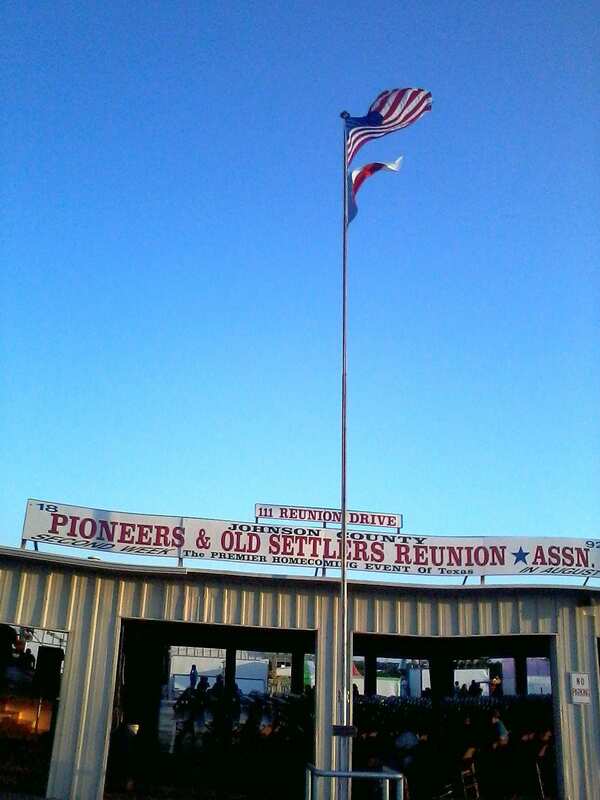 Randall James is attending the Pioneers & Old Settlers Reunion in Alvarado, Texas this weekend, and shares some pictures with us. 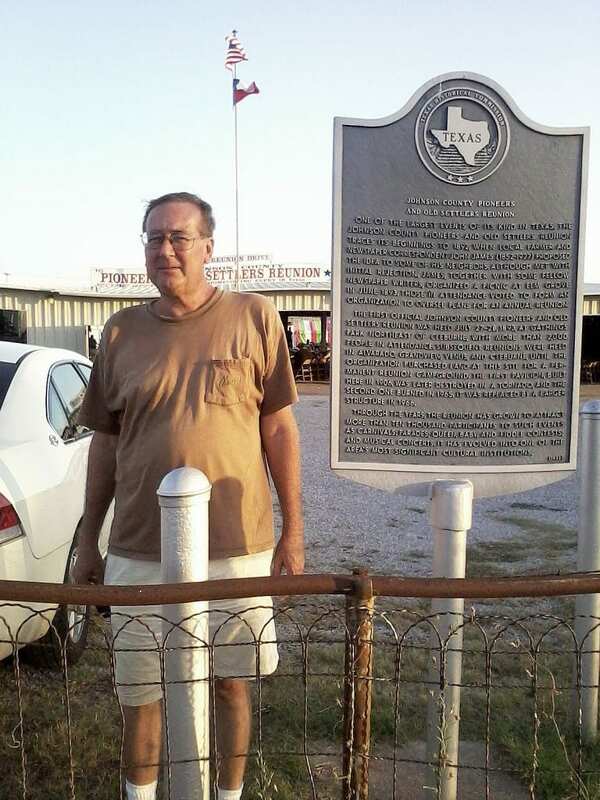 Here Randy stands beside the plaque commemorating the Reunion, co-founded by John James of Alvarado. 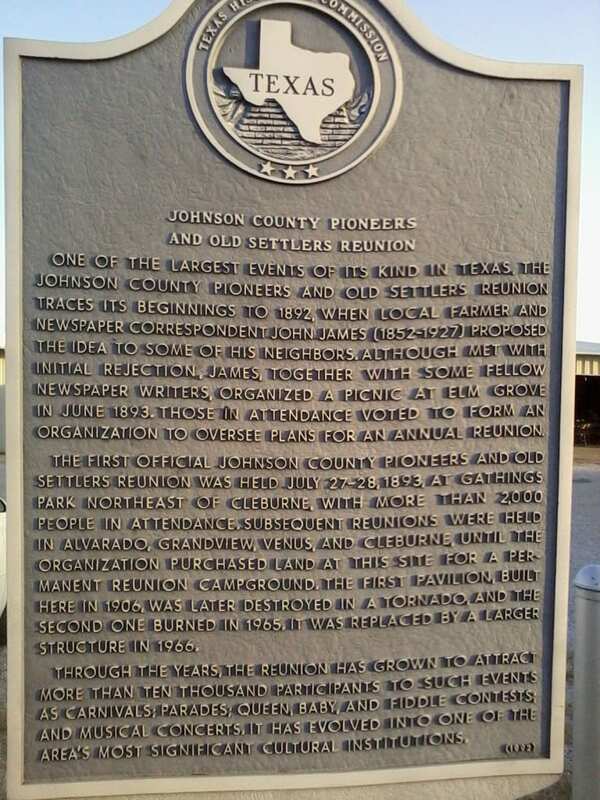 The commemorative plaque tells the story of the founding of the Reunion. From the Facebook page for Alvarado, we obtained this year’s schedule of events. 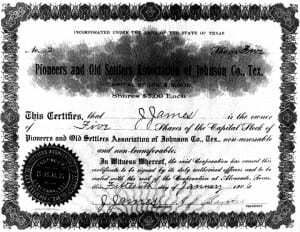 When the reunion was founded, stock certificates were issued. Here’s the stock issued to our John James. 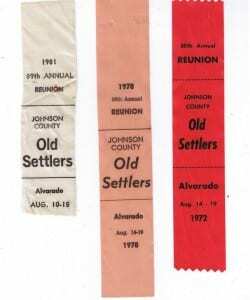 Each year those who attend the Reunion receive a Commemorative Ribbon. Over the years these have come to be valued collector’s items. 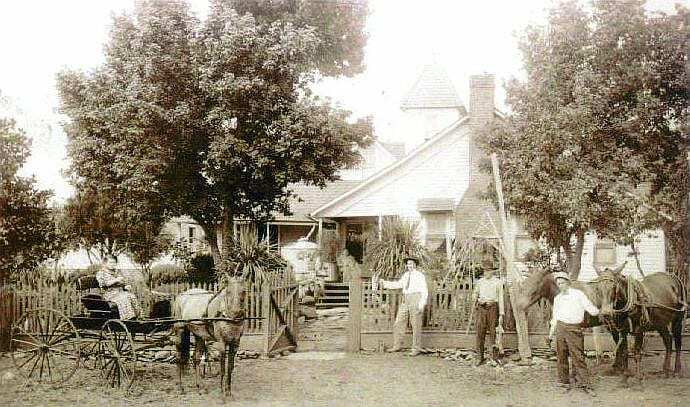 You may have seen this iconic image before on Stray Leaves of John James of Alvarado, and his family at their home Mountainview.